ITTA BENA, Miss.—Some people work their entire lives but never realize the opportunity to work their dream job. Xavier Redmond isn’t one of them. 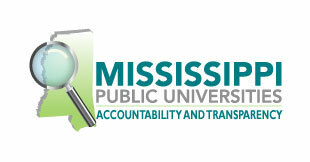 Last month, Redmond was named the new chief and director of university police for Mississippi Valley State. When he walked into his office for the first time, he immediately understood that his dream had come true. The Greenville native was a student-athlete at MVSU where he played football while majoring in Criminal Justice. His time as a student-athlete made a huge impact on Redmond—so much so that now, in his new position as police director, Redmond wants to interact with criminal justice students as a mentor. Dr. Jacqueline Gibson-Preastly, vice-president for student affairs, said that she’s excited to have Redmond join the team. “Mr. Redmond brings excellent experience to the department in this role. He is a State of Mississippi certified officer and has served in the field of law enforcement for 22 years,” she said. 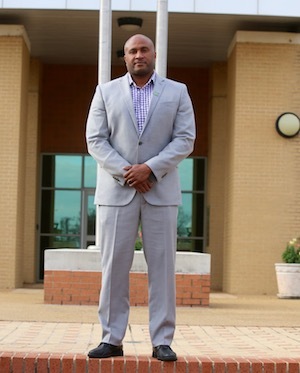 “He has worked his way up the ranks as police officer, investigator, police sergeant, and as police lieutenant, gaining an array of administrative, budgetary, and supervisory skills that will prove extremely helpful to MVSU. Ultimately, Mr. Redmond is a natural fit for this position, and his repertoire of skills make him an asset to the role and to MVSU,” Preastly added. After graduating from MVSU in 1996, Redmond started his career in law enforcement with the Greenville Police Department (GPD). He worked for the GPD for 22 years, eventually working his way up to lieutenant in 2006—a position he held until accepting the job at MVSU. “Initially, I was unsure about what my life was supposed to be but law enforcement chose me as oppose to me choosing it,” said Redmond. “I didn’t have a clue about what law enforcement was when I came out of school. I always share with students that you learn important things in class, but when you get into the law enforcement side, it is different. I want to be able to give students a sense of expectations, so they don’t walk into it blindly,” he added. Being back at his alma mater also gives Redmond the chance to create a culture that everyone who is associated with the University can be proud of. “We want to create a community-oriented culture where we have dialog and build relationships, so one of the things we hope to do is connect with students to engage with them and help them to understand that we are not here to hinder them but help them have a safe, fun college experience,” Redmond said. Moving forward, Redmond has a lot of plans for the University’s police force that involves student safety initiatives, increased police presence and patrols.